What is the cause of Meniere’s Disease? From a medical perspective Meniere’s Disease is an incurable condition. Once you have it, you always will and it will only get worse. But from an Upper Cervical Chiropractic perspective the symptoms of Meniere’s Disease are frequently eliminated or significantly reduced when the upper neck misalignment is corrected. Why is there such a different perspective? It really goes to the basics of chiropractic philosophy versus medical philosophy. Chiropractic philosophy teaches that the body is designed to be healthy and if there is a problem with the body then there is a cause of that problem. Medical philosophy comes from mechanistic and reductionistic viewpoint that says the whole is the sum of the parts only and that are bodies are not designed but evolved. The medical answer is to cover up the symptoms or the effects of the problem with drugs rather than address the underlying cause or perform surgery to remove parts that are deemed unnecessary (i.e. appendix, tonsils etc.). So what does this have to do with Meniere’s disease? If you have been diagnosed with Meniere’s, then you have been struggling with a combination of symptoms, classically vertigo or dizziness, hearing loss and tinnitus or ringing in the ear. Now most people are going to be struggling with these symptoms for some time before there are diagnosed. And once diagnosed the medical doctor will must likely tell you that they can try to control the symptoms as much as possible with drugs or possibly surgery. Most people today once they go home from the doctor with a label the first thing that they will do is google Meniere’s Disease and get info from places like National Institute of health, Wikipedia and a variety of other websites outlining the condition. 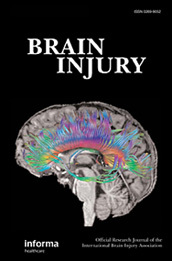 Looking at the NIH’s website in all that bleak information there will be one mention of head injury as a possible cause (http://www.ncbi.nlm.nih.gov/pubmedhealth/PMH0001721/) but no mention of what to do about the head injury that may have caused the condition. Head injury affects the alignment of the upper cervical spine (upper neck). 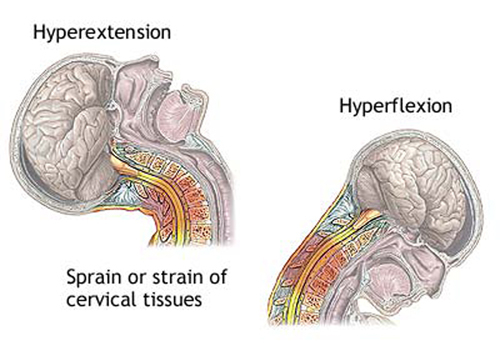 Once the upper neck is misaligned pressure begins to develop into the all important nerves at the base of the brain. This brain stem pressure can lead to vertigo, hearing loss, ringing the ears and many other conditions. 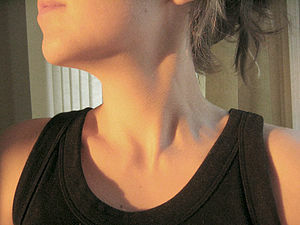 If someone was to Google Meniere’s Disease and the Upper Neck a very different picture would be found. One of hope, healing and the logical connection of the head or neck trauma to the onset of the symptoms and how once the underlying head and neck injuries are healed the symptoms of Meniere’s go away or are greatly reduced. So do yourself a favor if you have been diagnosed with Meniere’s…don’t just look at the medical perspective but look into the best kept secret in health…Upper Cervical Chiropractic and seek the cause of the problem. To find out more about upper cervical chiropractic go to www.nuccawellness.com. I have decided to do a series of blogs on what happens to the brain, brain stem, spinal cord and structures of the spine in a whiplash type injury and how Upper Cervical Care is so effective at restoring normal function to the body. An injury to the neck caused by a sudden movement of the head, backward, forward, or sideways, is commonly referred to as “whiplash”. During such an injury, neck ligaments and muscles can be sprained or strained and vertebrae can be misaligned. While the term “whiplash” is most frequently used to describe auto accident injuries (in which a person is rear-ended, hit head-on, or hit from the side), whiplash can also frequently occur during ski accidents, bike accidents, falls, blows to the head, concussions, and other head/neck traumas. Auto accidents are also the most common cause of closed head injuries due to acceleration/deceleration of the brain. The brain is a soft structure confined in a non-yielding body structure the skull. The mechanism of injury is either a shearing of axons or impact of the brain against the bony skull. The rapid acceleration and deceleration seen in whiplash can often result in closed head injuries. MINOR HEAD INJURIES CAN RESULT IN LONG TERM COMPLAINTS SUCH AS HEADACHES, DIZZINESS, VISUAL DISTURBANCES, FATIGUE, SLEEP DISTURBANCES, DIFFICULTY WITH CONCENTRATION, AND PERSONALITY CHANGES, ETC. Whiplash has been shown with or without head contact with an object to be the most common cause of post-concussion syndrome as well. The cognitive defects in whiplash victims, characterized by headaches, fatigue, dizziness, poor concentration, sensitivity to light, difficulty with processing and attention. These brain injuries are often overlooked in whiplash patients. 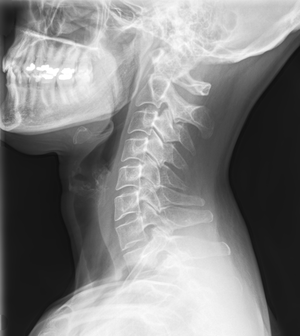 Following the whiplash accident, symptoms can be triggered immediately or can take months or years to develop. The purpose of upper cervical chiropractic care is to reverse the trauma-induced upper neck injury; thereby reducing irritation to the nerves in the brain stem and spinal cord that can trigger pain and other symptoms. After an accident, an upper cervical examination utilizing Laser-aligned Radiography and Digital Infrared Imaging is necessary in each individual’s case to assess whether an upper cervical injury is present and whether benefit from upper cervical care can be achieved.